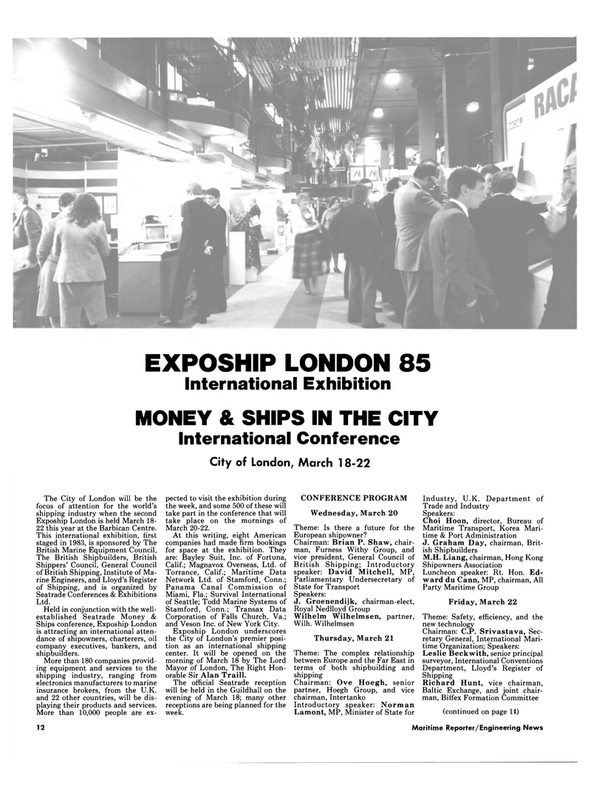 Expoship London is held March 18- 22 this year at the Barbican Centre. Ships conference, Expoship London is attracting an international atten- dance of shipowners, charterers, oil company executives, bankers, and shipbuilders. More than 180 companies provid- ing equipment and services to the shipping industry, ranging from electronics manufacturers to marine insurance brokers, from the U.K. and 22 other countries, will be dis- playing their products and services. Corporation of Falls Church, Va.; and Veson Inc. of New York City. Mayor of London, The Right Hon- orable Sir Alan Traill.